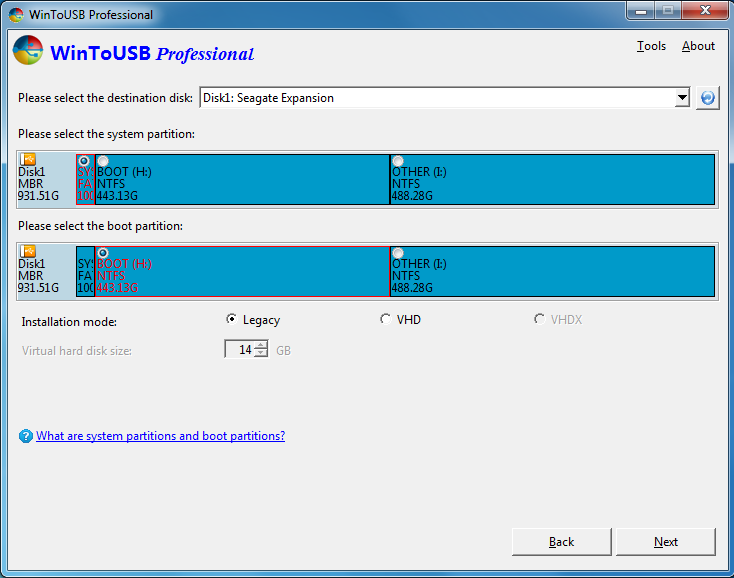 WinToUSB (also called Windows To USB) is the best free Windows To Go Creator which allows you to install and run a fully-functional Windows operating system on an external hard drive or a USB flash drive. It is so easy and efficient, with just a few simple steps and a few minutes, you can create your first portable Windows 10/8/7 directly from an ISO, WIM, ESD, SWM, VHD, VHDX image file or a CD/DVD drive, or you can use it to clone an existing Windows OS installation (Windows 7 or later) to a USB drive as portable Windows. 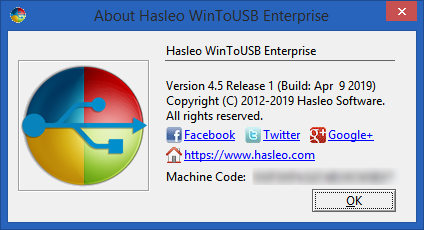 WinToUSB also supports creating a Windows installation USB flash drive from a Windows 10/8.1/8/7/Vista/2016/2012/2010/2008 installation ISO file, so you can install Windows from the USB flash drive easily. Windows To Go Creator allows you to install and run Windows on an external hard drive or a USB flash drive, then you can carry this portable Windows USB drive to anywhere and use it on any computer. Creation of Windows To Go directly from an ISO, WIM, ESD, SWM, VHD, VHDX image file or a CD/DVD drive. Clone an existing Windows installation (Windows 10/8.1/8/7/2016/2012/2010/2008 R2) to a USB drive as a Windows To Go Workspace. Use of a Non-Enterprise Edition of Windows 10/8.1/8/7/2016/2012/2010/2008 R2 to create Windows To Go Workspace. Creation of Windows To Go on Non-Certified Windows To Go drive. Support for creating VHD/VHDX-based Windows To Go Workspace. 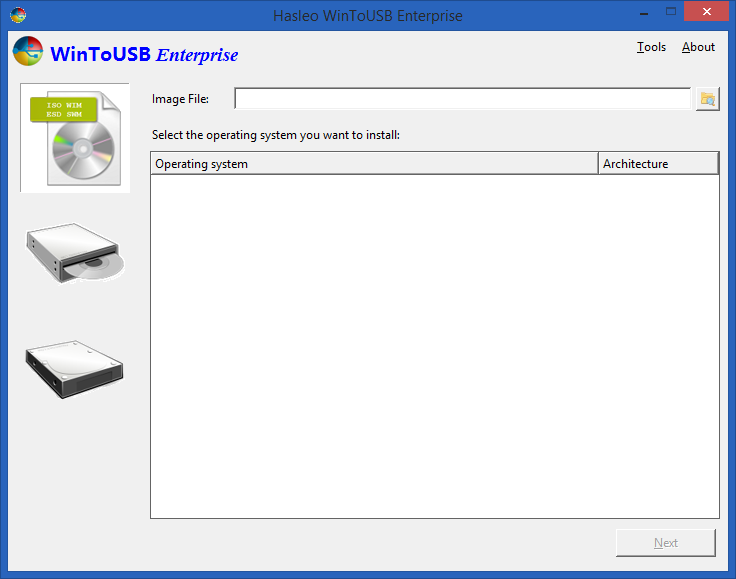 WinToUSB releases a feature called "Windows Installation USB Creator" which allows you to create a Windows installation USB drive from a Windows 10/8/7/vista/2016/2012/2008 installation ISO image file with a few simple steps, with this feature you can create a Windows bootable USB drive to install Windows on both Traditional BIOS and UEFI computers by using the same USB drive. WinToUSB also supports creating a bootable Windows PE USB drive, it can help you transfer the contents of a Windows PE image to a USB drive and make the USB drive bootable. The URL does not work 404 error. but where is technical info/comparison on their webpage ? what extra feature it have !